Controversial former NBA player Lamar Odom has got Khloe Kardashian worried sick. They've been on a roller coaster journey, but Khloe Kardashian still clearly deeply cares for Lamar Odom. 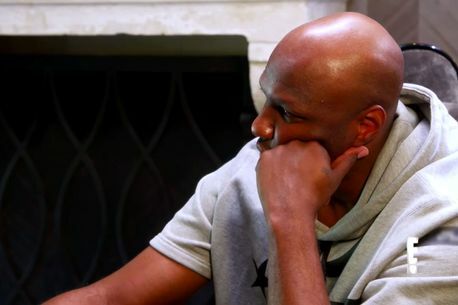 In an upcoming episode of Keeping Up With The Kardashians, Khloe, Lamar and Kris are all sat down together when they start to discuss the former NBA star's future sporting plans. "Have you tried to play basketball again just for fun? Like, dribble a ball or bounce it around for a minute. You know Kourtney has that court right down the street?" Kris says. He went on to assure her that he has enrolled in a basketball facility that could help him get his Basketball groove back. Khloe is skeptical, and with good reason. Khloe isn't sure he can commit to it. "Basketball is obviously Lamar’s passion and love and anything that is positive and uplifting I’m all for but Lamar hasn’t followed through recently with so many things," the 32-year-old explains to camera. "Like, I need to see some consistency and a little effort on Lamar's part, going to a basketball camp is a big step and I don't want to set him up for failure."